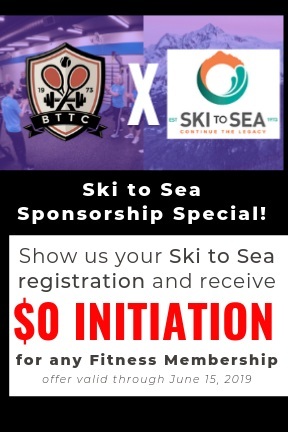 We are sponsoring ski to sea 2019! The best deals will be reserved for the finish line booth, so be sure to stop by and pick up your special gift! You want: Power. Performance. Results. Bellingham Training & Tennis Club helps you get it! We’ve helped train thousands of athletes to achieve the fitness they want and prevent injuries so they can stay in the game. We believe that whatever your fitness needs, you deserve the support you want to help you meet your goals. Choose from more than 40 group fitness classes, personal training, workout on your own, or for those returning to a fitness routine, join our Ignite Your Body plan. If you love tennis, we offer the most court time in the Pacific Northwest, with five indoor tennis courts; hone your skills with tennis lessons, clinics and camps for kids and adults. If riding is your thing, try Bellingham’s only indoor cycling studio or challenge yourself with the Cycle Moles Performance Training and Healthy Knees Premium Cycling Programs. Plus, Members love our community, full of welcoming and friendly people and fun events! 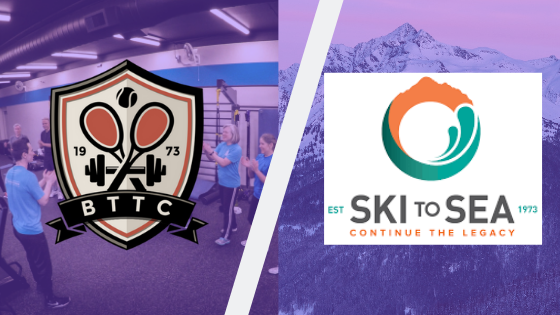 Incorporate the gym into your Ski training to enhance your performance. Fitness tips from former ski instructor Thierry Werderits and Fitness Instructor Elizabeth Sheinkopf .